April is Advisor Appreciation Month for the National Panhellenic Conference, and April 15-21 is National Volunteer Week in the United States and Canada. These two events celebrate both the importance of volunteering and the value of volunteers. National Volunteer Week is an opportunity to thank volunteers who lend their time, talent, voice and support to causes they care about in their communities. There are so many organizations that rely on volunteer support, and NPC is fortunate to have the commitment of many volunteers who give selflessly of themselves. While volunteering is a form of service, many volunteers will tell you they get more than they give. Developing new skills, finding meaningful personal connections and helping collegians understand the value of service are all reasons to pay it forward to ensure the success of sororities for generations of women to come. If you are volunteer, you have answered the call through your actions of service, support and generosity. You are helping to advance the future of sorority by giving of a precious resource – your time. Realizing how many different people and organizations are vying for your time, we at NPC express our sincere gratitude to you for choosing to spend time advancing the sorority experience. Volunteers are the lifeblood of NPC and our individual member organizations. Showing appreciation goes a long way in retaining those people who are committed to supporting our organizations and promoting the sorority experience. 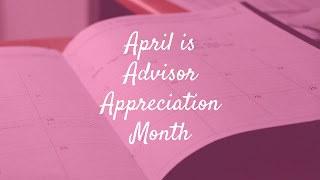 Please join me in thanking advisors and other volunteers during April as well as throughout the year.